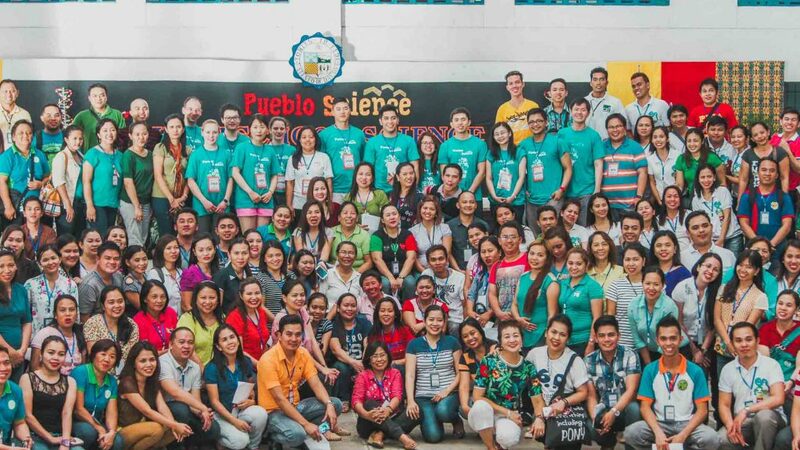 RISE, the Rural Initiative for Science Education, offers professional development training for science teachers in low-resource communities. Over the course of a three-day workshop, participating educators are shown experiments using locally available materials that they could integrate into their own classrooms. These hands-on experiments are developed by Pueblo Science to incorporate concepts from biology, chemistry, material science, physics, and engineering and are tailored to reflect the local curriculum, regional needs, interests, and available resources. The teachers training also emphasizes effective pedagogical techniques in science education, and instructors provide follow-up support in the implementation of the experiments. 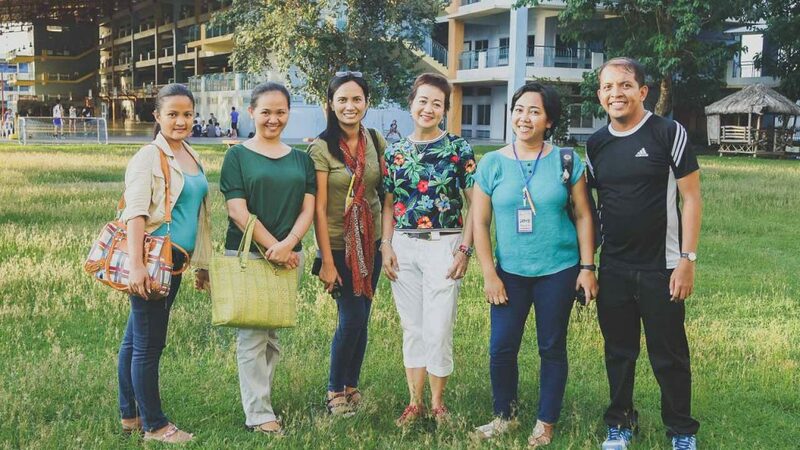 As of 2018, RISE has been conducted in the Philippines, Thailand, Guyana, Jamaica, India, and Bolivia and has trained over 3,000 teachers. Our team of scientists and engineers creates hands-on learning modules that are fun and easy to implement without compromising on the math and science. We work closely with our local partners to customize the learning modules to best meet the needs of their teachers. Our partners have a say in the topics they would like Pueblo Science to cover, and we design the activities, test them, and adapt them to use locally available and affordable materials. We aim to create modules that both fit into the students’ existing curricula and relate to topics of particular interest to the local community (e.g. water, agriculture, health, robotics, programming, etc.). Our passionate team of volunteer instructors are highly qualified professionals and graduate students in the fields of science, engineering, and education. They have substantial experience teaching students K to 12, undergraduates, and postgraduates, in both urban and rural settings, in developed and developing countries. Our instructors are affiliated with top universities around the world, including the University of Toronto. They are enthusiastic and self-motivated individuals with excellent communication skills. What do teachers do during the training workshop? Teachers participating in a RISE training workshop are placed into small groups. Each group works directly with an instructor to learn and conduct a set of experiments, with materials provided to all individuals. Over the course of three days, teachers rotate through all of the instructors to learn a variety of experiments. Teachers can keep the material kits and bring them back to their school. Pueblo Science experiments use 100% locally available materials to allow teachers to easily replicate the experiments with their students. Students from remote communities of various Philippine provinces continue to perform poorly on national assessment tests in math and science. Local science teachers have to teach physics, chemistry, biology, and math to students from grades 7 to 12; however, they themselves are trained as generalists and are not specialists in any fields of science. Teachers receive little to no government support; everything they use in their classrooms is paid out of pocket. In some cases, they ask their students, who often come from impoverished families, to bring materials for classroom activities. Through RISE, we work with teachers who are dedicated and eager to learn about ways to encourage their students to take an interest in science and engineering. 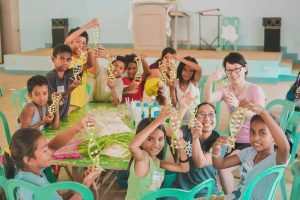 The teachers travel for hours to attend our training workshops from remote communities across the Philippines, using their own money and giving up vacation time because they believe it will help them inspire their students. While not a universal trend, the majority of high school students in Jamaica show a general decline in performance in the Caribbean Secondary Education Certificate (CSEC) science subjects. This has been attributed to the CSEC examination shifting from recall-based questions to those demanding more applied understanding and critical thinking, and a stagnant curriculum that needs drastic modernization. Many rural teachers are overburdened with their duties, especially given the lack of resources. Teachers themselves may not have enough exposure to modern pedagogical methods to best facilitate learning activities that help students connect scientific concepts to their communities, environment, and health. In many cases, teachers are not specialists in any field of science, though they are expected to teach physics, chemistry, and biology to students from 1st to 6th form, and more recently expected to teach as many as three sets of students in a single classroom. 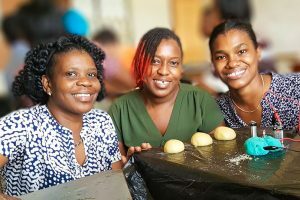 Through RISE, Pueblo Science works with local teachers to help educate a new generation of problem-solvers and innovators, which Jamaica needs. 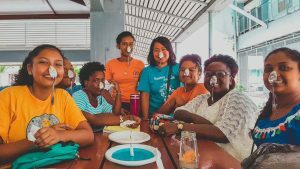 Teachers travel to Kingston from remote parishes of Jamaica, using their own money and giving up vacation time to attend our training. In low-resource communities, science education is largely theoretical and textbook-based. The high cost of materials and laboratory equipment routinely stymies opportunities for experimentation which would allow students to experience how science works in the real world. Volunteers, both from Canada and from the local area conduct two- to three-day workshops in several locations. Participating teachers learn how they can facilitate affordable, hands-on experiments in their classrooms. Spots in the training program are in very high demand, and often teachers travel for hours and give up their vacation time to attend because they believe it will help them inspire their students.